Using Google Analytics for WordPress helps you understand how visitors interact with your site and content. 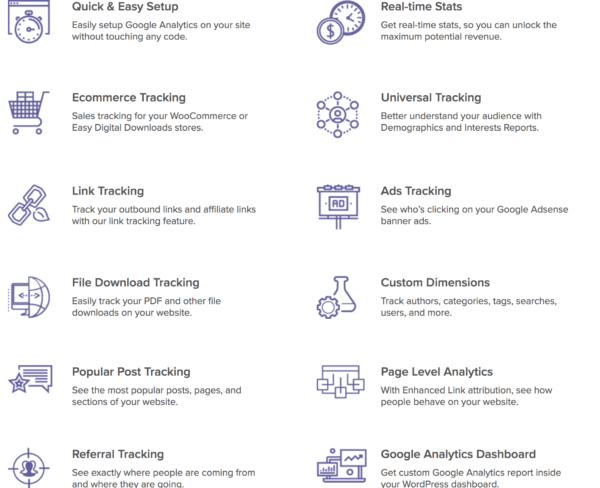 Google Analytics is a free web analytics service that allows you to track traffic, behavior, conversions and more on your website. In this post, you’ll learn how to set up Google Analytics in the WordPress dashboard. Also, you’ll get a few introduction techniques for measuring valuable data from your traffic. What they do on your site once they are there. How successful your content and user funnels are. 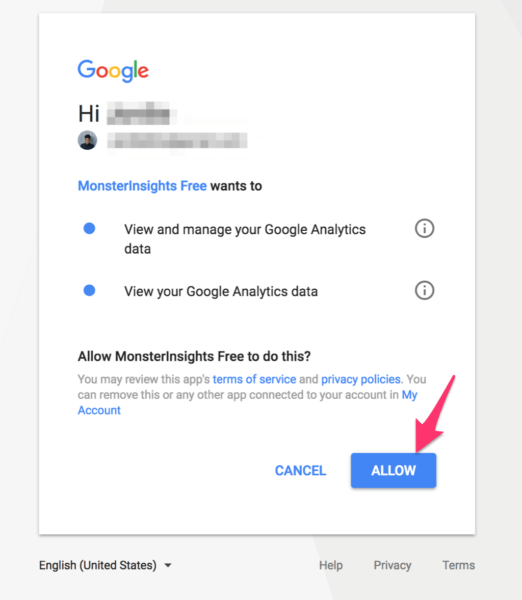 First, you need to set up your Google Analytics (GA) account. Click this link where you can either sign into an existing Google account or create a new one. 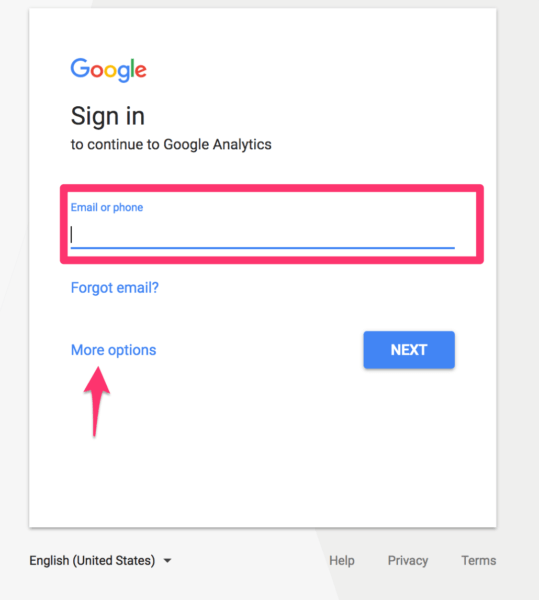 Enter the phone number or email address associated with your Google account or click the “more options” button to create a new account. Once you hit “next,” enter your password. Once you’ve successfully logged in, you’ll see a screen like the one, below. This screen shows you the three-step step process for installing WordPress onto your website. New account holders need to enter details about their website. Giving this information to Google helps produce the tracking code necessary for everything to work together seamlessly. 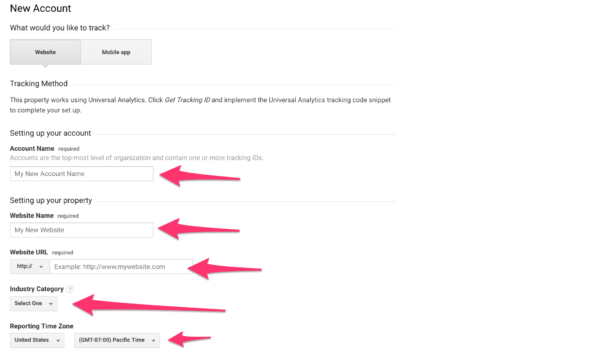 Once you’ve filled in the details and clicked the “get tracking ID” button, you should receive your tracking code. You’ll also be prompted to agree or disagree to the GA terms and conditions. Below is an image of a tracking code. You’ll want to copy and paste it somewhere safe, as you’ll be using it in the next steps. Completely manually requires more time and leaves more room for error, so in this guide, you’ll find out about number two and three. In this method, you’ll want to download the plugin, Addfunc head and footer code. If you’re unsure how to do that, use our guide here. 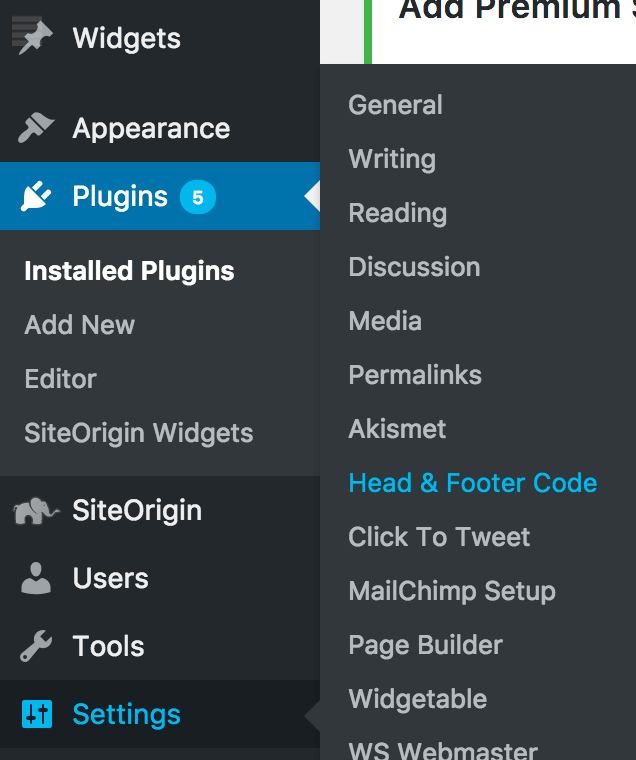 Once you’ve installed the plugin, go to Settings >> Header and Footer code. 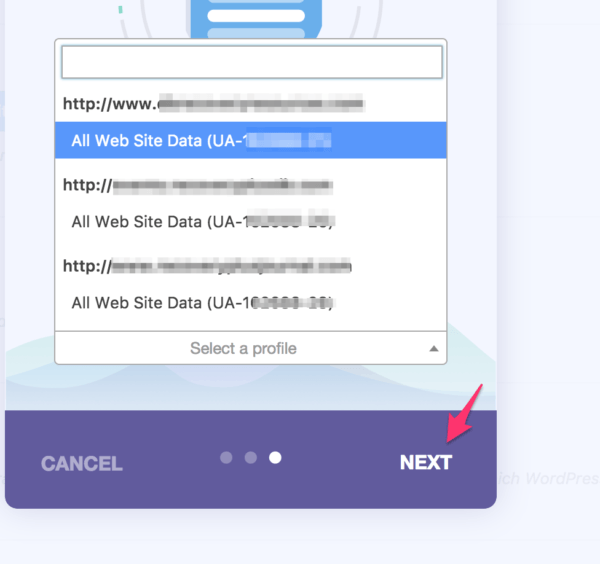 Once you hit “Save changes,” your site will now be connected to Google Analytics and you can start collecting data. Key point: It may take some time for your data to begin tracking. 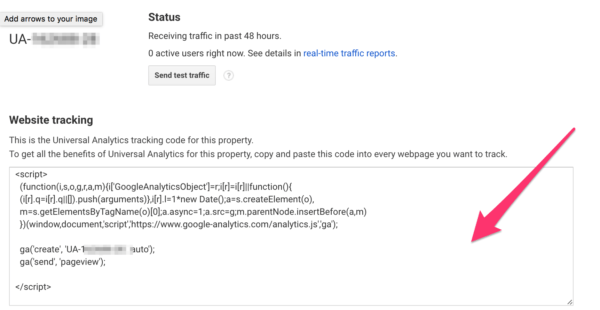 Don’t be alarmed if you see no traffic on your Google Analytics account. 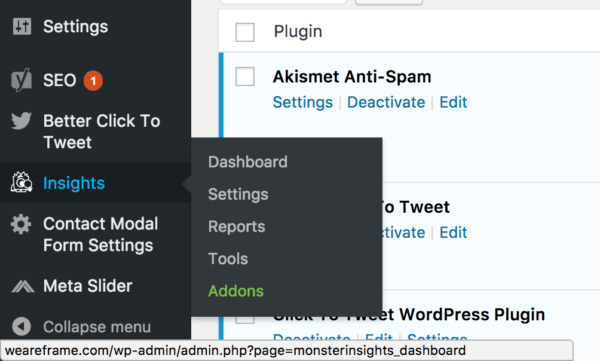 A common Google Analytics for WordPress plugin is MonsterInsights. With a whole plethora of tools built right into the plugin, you can look at most of the basic stats without even having to leave WordPress. 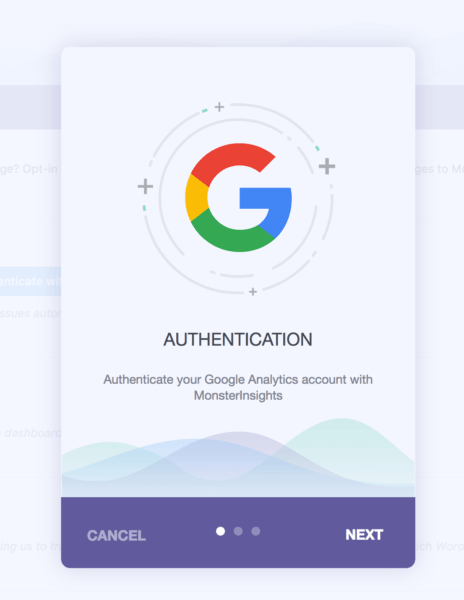 First, install the Monster Insights plugin. Click the “Authenticate with your Google account” button. 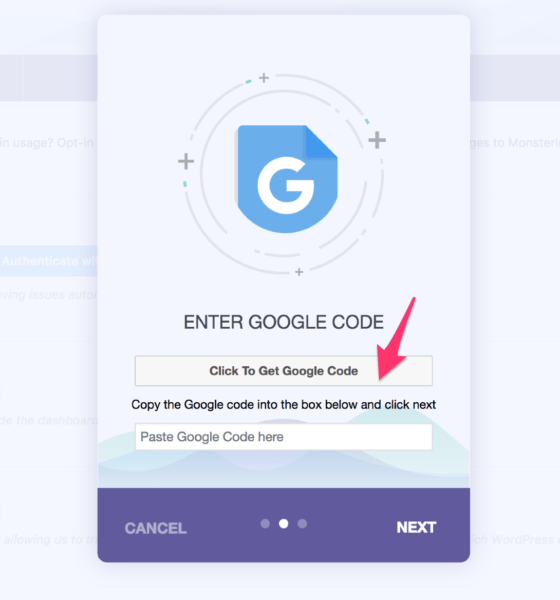 You will need to get a unique code from Google. When you click that button, you’ll see another screen that will prompt you to sign in with your Google account. 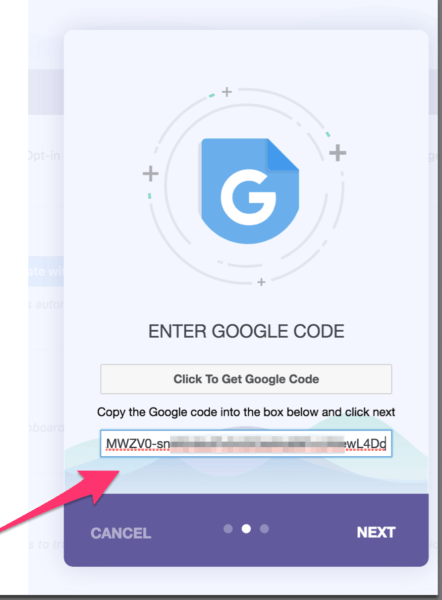 Click allow and you’ll be presented with a code like the one below. Copy this code and return to your WordPress window you had open before. Enter the code you copied. 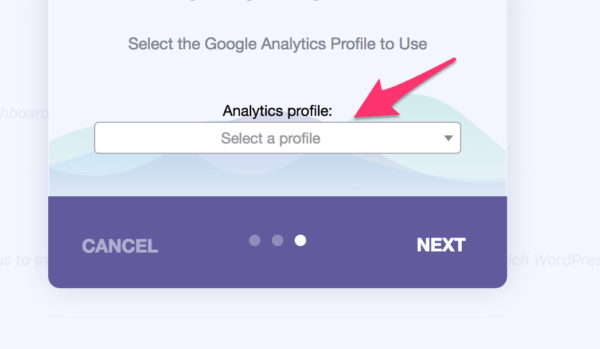 Choose an Analytics profile. If you only have one site, that’s the one that will appear. Now you’ve installed Google Analytics, it’s time to start diving into the data. Key point: If you’re using a plugin tool for WordPress, like Monster Insights, you can find this data within WordPress. AudienceÂ tab: Shows you data about your users. Acquisition tab: Show where your users have come from. Behavior tab: Shows what your users do once they arrive on your site. Conversion tab: Show how well you are doing against the goals you’ve set for yourself. Key point: If you’re unsure what any of the metrics mean whilst you’re browsing through Google Analytics, you can hover over the name. Ready for the next step? 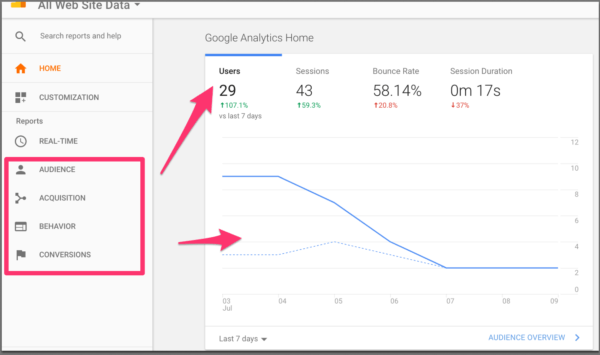 Learn how to build effective Google Analytics dashboards. Google Analytics is one of the most powerful free web analytics tools at your disposal. For WordPress users of all levels, syncing your Analytics with WordPress will enable you to consistently improve the way your website performs. Do you have specific questions on how to do something in Google Analytics? Just ask in the comments section below. Jordie Black is the CEO of We Are Frame, a digital marketing agency that works with companies seeking accelerated growth to adapt, engage and thrive. We benchmarked Amazon’s new Aurora database for use with WordPress. Results within.